The enemy target is in sight, right below. You make a steep dive, firing a hail of bullets on the unsuspecting aircraft. As its flaming fuselage crashes into the mountain side, you pet yourself on the back and mark another notch on your control panel. But this little moment of triumph doesn’t last very long; a German Bf 109 F emerges out of the clouds and locks onto your tail. You try to shake it but it’s too late; the pilot is bleeding out, the fuel tank is leaking and the right wing is on fire. There’s nothing you can do but watch your plane drop out of the sky and hope someone on your team will avenge you. 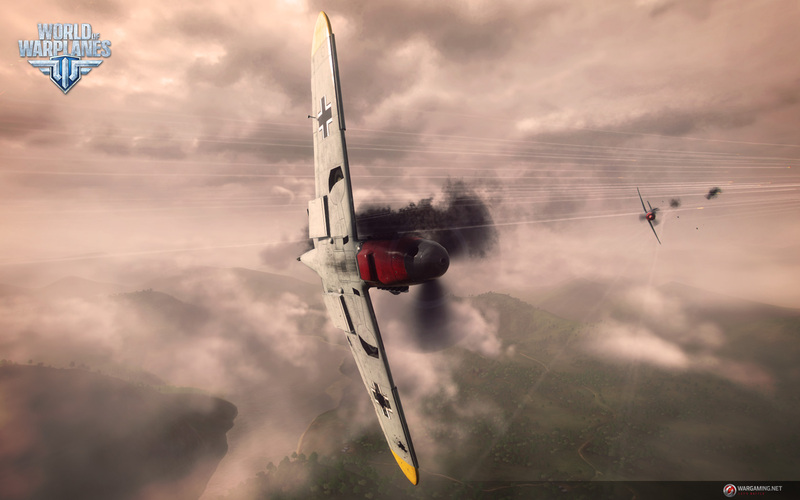 This is what playing Wargaming’s World of Warplanes feels like. This free-to-play, kill or be killed multiplayer game is straightforward, fun, and admittedly a bit addictive. 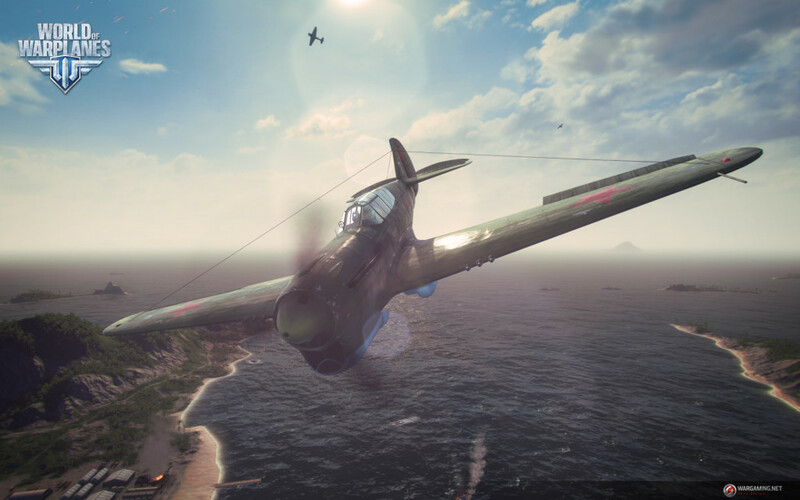 Don’t expect a serious flying simulator with a heavy emphasis on strategic maneuvers; World of Warplanes offers a mix of arcade-like action and simple tactics that will keep you engaged despite its repetitive nature. The game is designed to be played in short bursts of two or three matches, unless, of course, you’re on a roll (and not the barrel kind) . The intense dogfights will keep drawing you back in, even if you decided to put the game aside for the day; it just never gets old. There’s basically just one mode in the entire game: Team Deathmatch. Two teams of airplanes fight for air supremacy, or until one of them is completely obliterated. You might think just one mode will get boring eventually, but that’s not the case. Each skirmish brings a new challenge; it can be someone flying a better plane than yours, or simply a pilot more experienced, that knows just when to fire and when to break away. There’s always something new to learn and you’ll keep improving with every successful flight under your wing. Plus, the more you fight, the more new planes you add to your online hanger. Thanks to a huge variety of airplanes to unlock, upgrade and customize, there’s always something to strive for in WoWP, beyond the sweet taste of victory. From small bi-wing planes to modern jet fighters, there’s always something new to try out. Found a plane that you really like? Now it’s time to start upgrading it to fit your play style. You can add more firepower, speed or maneuverability to your warplane by researching and then buying new parts and technology. Both actions require different in-game currency (and that’s where the micro-transactions come in) but for a free-to-play title, World of Warplanes is very fair on that front, and actually lets you progress without purchasing anything, by just being good at the game. You are rewarded individually for damage and kill-count at the end of each match, but also for being on the winning team. And to win, a team must work as one. Fast fighters need to cover the slower, heavier bombers, who in turn need to focus on weakening the enemy’s defenses and avoid direct confrontations. It’s nice to have this little variety in gameplay – almost like a class system. You can fly solo if you want, and if you’re good you’ll even rack a pretty decent kill-count – but there is safety in numbers. A good team can cover each other and pick off the enemy planes one by one. Team-play adds another layer of tactical thinking to the game, so every new match can go in a completely different direction, depending on your team, plane and the map you play on. Speaking of which, the maps in WoWP all look great. One is a desert environment with big canyons you can fly through, while others have snowy peaks or a archipelago of small islands with enemy ground units hidden in the foliage. Each map looks different and is fun to fly though in its own way. It is too bad there are just so few of them. Playing just a handful of matches can take you through the lot, though there’s a chance you won’t even notice, thanks to all the aerial carnage taking place around you. The same can be said about the music: the soundtrack is befitting of the game’s atmosphere, ranging from inspiring tracks with strings and flutes, to blood-pumping military marches with percussion and brass instruments. But again, there aren’t a lot of different tracks (or there are, but they just sound very similar – it’s hard to tell). As with the gameplay, WoWP’s presentation is a bit on the repetitive side. World of Warplanes is a fun game, no question about it. It features fast-paced, head-on action with just the right amount of tactics to keep it from going stale. If you’re a competitive gamer, this game might just be what you need right now. However, for the casual gamer, or even the one looking for a little more out of his or her video games, WoWP will become tiring quite quickly since it doesn’t have a lot to offer beside the thrill of competition. But then again, this is a free-to-play title, so why not suit up and give it a whirl? The worst that can happen is you’ll crash and burn, and probably have fun doing so.